Chicago nonprofit FamilyFarmed will greatly expand its efforts to train farmers across the United States through cooperative agreements with the U.S. Department of Agriculture (USDA) and a partnership with Whole Foods Market. Training farmers in best practices in production, handling, food safety and marketing is, in fact, a key element in FamilyFarmed’s broader efforts to expand the supply of Good Food — which the organization defines as food produced as locally as possible using sustainable, humane and fair practices. And FamilyFarmed has already trained more than 7,000 farmers in 35 states utilizing its 316-page Wholesale Success manual. Now in its 4th edition, this manual is the definitive guide to food safety, selling, postharvest handling and produce packing for farmers selling into wholesale markets. 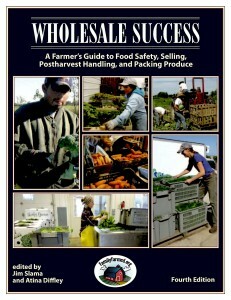 The cooperative agreements with the USDA, through its Risk Management Agency, will extend that program through 26 workshops in 11 states — Arizona, Connecticut, Idaho, Indiana, Kentucky, Massachusetts, Minnesota, New Hampshire, South Carolina, Washington and Wisconsin — and will train 1,675 farmers using the Wholesale Success manual. In a separate development, the USDA Agricultural Marketing Service will support updates to make FamilyFarmed’s On-Farm Food Safety website more user-friendly, including a new introductory video. Created in 2011, the On-Farm Food Safety website has already drawn more than 30,000 unique visitors and prompted the completion of more than 500 on-farm food safety plans. Additionally, Whole Foods Market has agreed to collaborate with FamilyFarmed to provide Wholesale Success seminars for many of their small to midsize produce farmers in the U.S. and Canada. Atina Diffley, an organic grower from Minnesota who is FamilyFarmed’s professional farmer-trainer, will conduct these sessions which will be featured as part of Whole Foods Market local grower meetings around the country. These seminars will provide farmers with instruction — centered on FamilyFarmed’s Wholesale Success manual, which will be provided to each participant — on production, post-harvest handling, food safety and best practices in marketing. Dates of these sessions will be announced by Whole Foods Market this fall. Whole Foods Market has a longstanding relationship with FamilyFarmed and is a lead partner in its Good Food Business Accelerator, an entrepreneur fellowship program that was launched last year. Wholesale Success is just one of the innovative programs FamilyFarmed has created to advance the growth of the Good Food movement over nearly two decades. FamilyFarmed’s Good Food Festival & Conference began in 2004 as the Midwest’s first trade show focused on local and sustainable food, and it has grown to include the Good Food Financing & Innovation Conference and a public festival. The Good Food Business Accelerator, which provides competitively selected entrepreneurs with a curriculum, mentorship and connections to financing sources, was spun off from the Financing & Innovation Conference and graduated its first Fellows class in May 2015. FamilyFarmed also seeks to inform the public about food issues through its FamilyFarmed and Good Food on Every Table websites. This surge of activity coincides with the launch of FamilyFarmed’s new Direct Market Success program and the IndieGoGo crowd-funding campaign to support it financially. 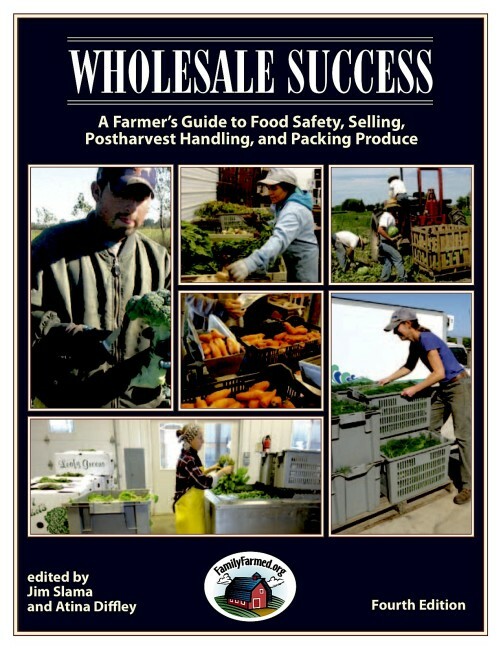 Modeled closely on the Wholesale Success program, Direct Market Success will produce a comprehensive manual and training program for farmers who sell their products through direct marketing platforms, such as farmers markets, CSAs, farm stands, online e-commerce sites, direct relationships with restaurants and institutions, and others. While Direct Market Success will be valuable to any farmer who sells in this sector, it will be especially important to the many new and young farmers who enter the business through direct marketing venues. 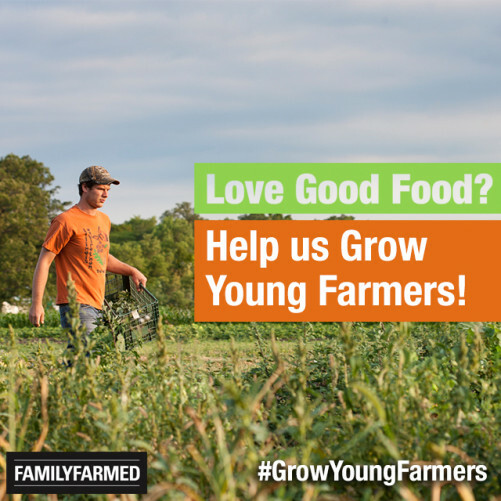 The theme of the IndieGoGo campaign is “Help Us Grow Young Farmers!” and the hashtag is #GrowYoungFarmers. The IndieGoGo campaign, which runs through Dec. 6, seeks to raise $60,000. Great perks are available as FamilyFarmed’s thank you for tax-deductible donations. This entry was posted in Direct Farm Marketing, Family Farms, Farm businesses, Farmer training, Food education, Food Entrepreneurs, Food safety, Good Food Festivals, Good Food Financing Fair, Small Farmers, Sustainable food education, Wholesale Success, Young farmers and tagged #GrowYoungFarmers, direct food marketing, Direct Market Success, Family Farmed, farmer education, farmer training, Help Us Grow Young Farmers!, U.S. Department of Agriculture, Whole Foods Market, wholesale food marketing, Wholesale Success. Bookmark the permalink.